In 2018, the average data breach cost increased by 6.4%, making cybersecurity training for employees even more important. Many companies that experience cyber breaches could avoid these breaches with simple precautions. While employees may feel as if these pieces of training are unnecessary, the need for this training increases every year. When you're an employer, trying to get your team on board can be frustrating, but the following tips will help you with that challenge. Continue reading to learn the three ways your company can provide training to employees. Providing training that will keep your company and customer info safe can save your company thousands of dollars. Here are some of the best ways that you can promote cybersecurity. Some of your employees learn better on their own. The thought of being one on one with a trainer or even being in a group may be too time-consuming. When you allow employees to complete training at their own pace, they can fit the modules between their work and life as needed. If you decide to use training modules, make sure they are short enough that people won't get bored but information-packed enough to get the point across. Find a training portal that will be a good fit for you and your employees. Instead of an overarching training, you might decide that you want to work with specific people and roles within your company. Creating role relevant, customized examples will let you speak to the people that need the training in terms they can understand. If people don't think they are going to come up against a specific challenge, they are likely to tune out. When you show them exactly how cybersecurity affects them, they are more likely to pay attention. If you want to see how people are going to react, you can do that by training through unscheduled attack simulations. You can alert your staff that there is a possibility of a scheduled attack or you can surprise them. In the case of real attacks, this would be when companies often need disaster recovery services. You may decide that you want to use a multi-tier training approach by using more than one of these techniques. Using more than one of these techniques allows you to train different learning styles and personalities. Cybersecurity training shouldn't be a one-off practice. 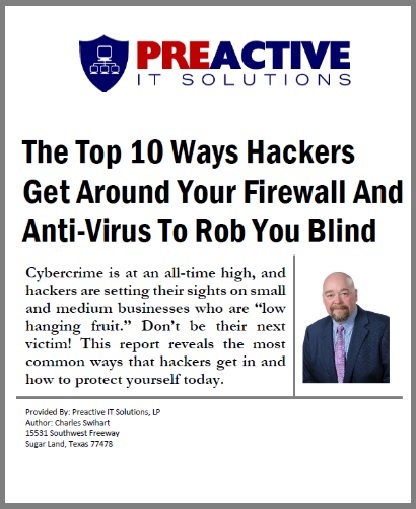 As new threats come on the scene, you should continue to keep your employees up to date. Keeping your company safe isn't always easy, but providing cybersecurity training for employees is one way to mitigate risks. When you work with such a sensitive matter, you need to be sure you're working with the best. Learn more about us and how we can help you with your IT needs.